Electrical experience essential – see further below for more info. Anyone attending training should also have a good level of both spoken and written English. Cable spiking is an essential part of proving that high voltage cables are completely dead – this training course is an effective method for learning about the principles behind cable spiking, as well as how to safely perform spiking. Without cable spiking, engineers, technicians and other personnel could end up working on cables which still carry dangerous electrical current, even if they have been isolated from a power supply. 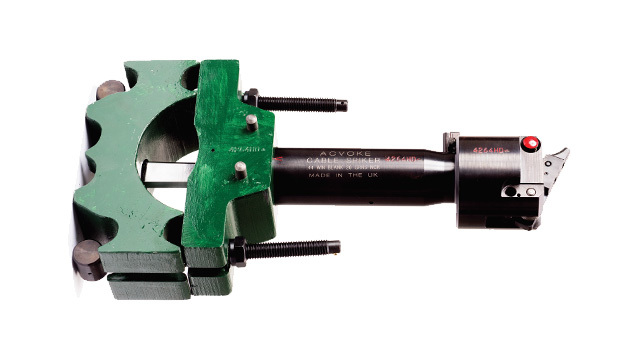 Cable spiking drives a sharp spike directly through the cable, severing the connection and ensuring that the flow of electricity is broken before essential work can be completed. As part of this training progamme, you’ll be taught by our professional high voltage tutors and be provided a practical, technical and safety-oriented introduction to both identifying electrical power cables and the correct process of performing cable spiking on these cables.